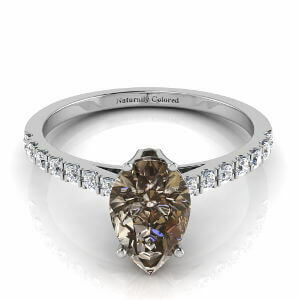 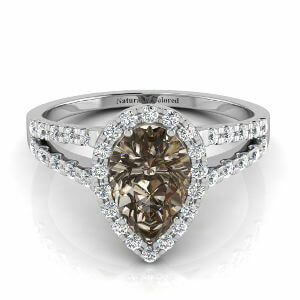 A beautiful pear shaped colored diamond showing the advantages of the endless color combinations that are available. 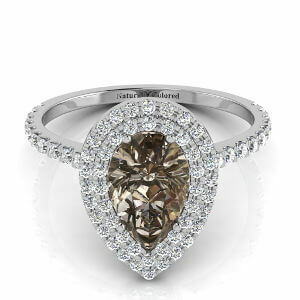 A Fancy Dark Greenish Yellow Brown Diamond - A dark chocolate brown diamond with additional hues of yellow and slightly green. 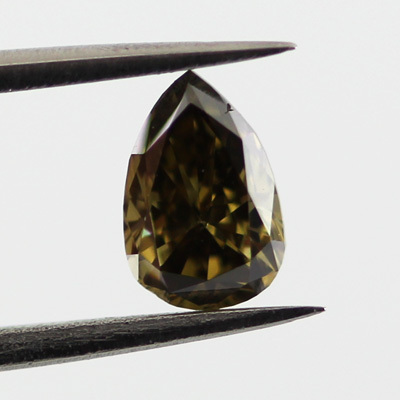 Good si1 clarity and just beneath half a carat.